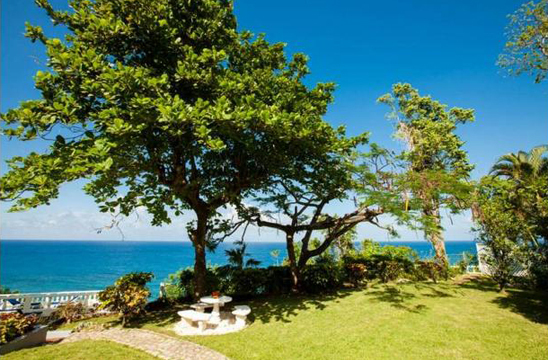 Named after a famous Jamaican river that slowly meanders through the parish of St Mary, WAG WATER is a spacious 3-bedroom villa that sits on a beautiful promontory where guests enjoys the panoramic view of the coastline between Ocho Rios and Oracabessa. 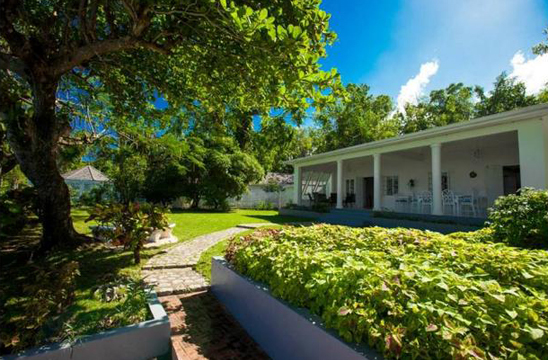 WAG WATER is a charming three bedroom villa overlooking the sea on 1.5 acres of tropical grounds within the historic Prospect Plantation estate. WAG WATER offers the combination of a spacious living room, equipped with modern conveniences such as satellite TV, VCR, telephone and stereo system, along with an extensive covered verandah, with ample space for lounging and dining providing the best of both indoor and outdoor living. 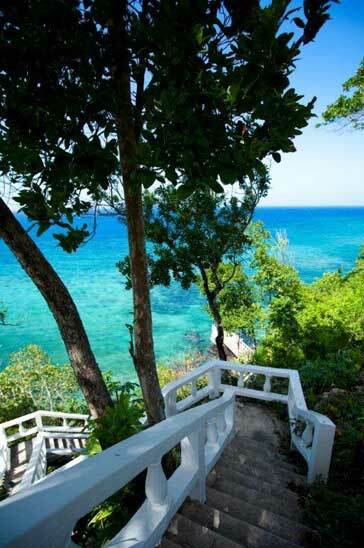 The pool is situated along tropical gardens with a sun deck and winding stairs leading to the clear blue waters of the Caribbean offering spectacular snorkeling. Each of the three air conditioned bedrooms has its own private en-suite bathroom and TV. As with all of the Prospect villas, WAG WATER is fully staffed with a cook, housekeeper/laundress and all night security. The friendly, experienced staff go above and beyond in their attention to detail to provide for guests and ensure that their needs are cared for. 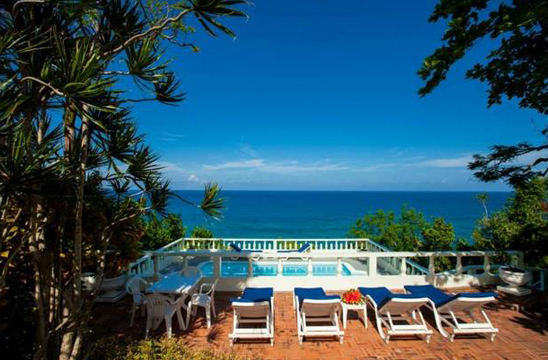 Guests enjoy the free use of the Estate's tennis court, jitney and horse back riding tours all within a 5 minute walk from the villa. 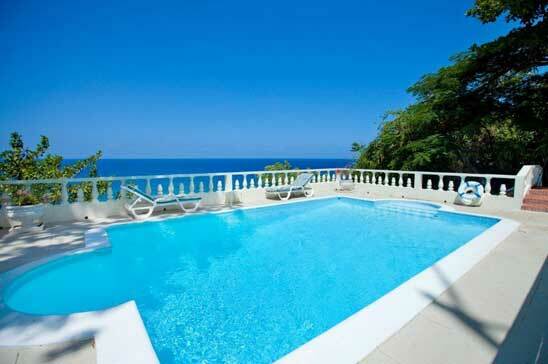 Guest receive a 50% discounts on greens fees from Sandals Upton. A pre-stocking/pay as you go service is also available with groceries items stocked prior to arrival and throughout your stay. Meal costs are very dependent on the likes and dislikes of the individual group/family. On average, meals may work out to cost $50-$60/ person/day and US$25/child/day. irport transfers are included in all one week/7 night bookings.